Luxury living at the Hollywood Regis! Recently remodeled from top to bottom, this penthouse junior 1 bedroom, with sweeping views of Downtown, is Hollywood living at it’s best! The kitchen features stainless appliances, quartz counters, and plenty of storage space. Make your way to a large, nicely appointed bathroom along with a generous walk-in closet which also features built-in washer/dryer. The sunny balcony with stunning views is large enough to accommodate a BBQ and table and chairs. Building amenities include a recently remodeled pool and spa, fitness room, and on-site manager. Two car tandem parking in the subterranean garage. 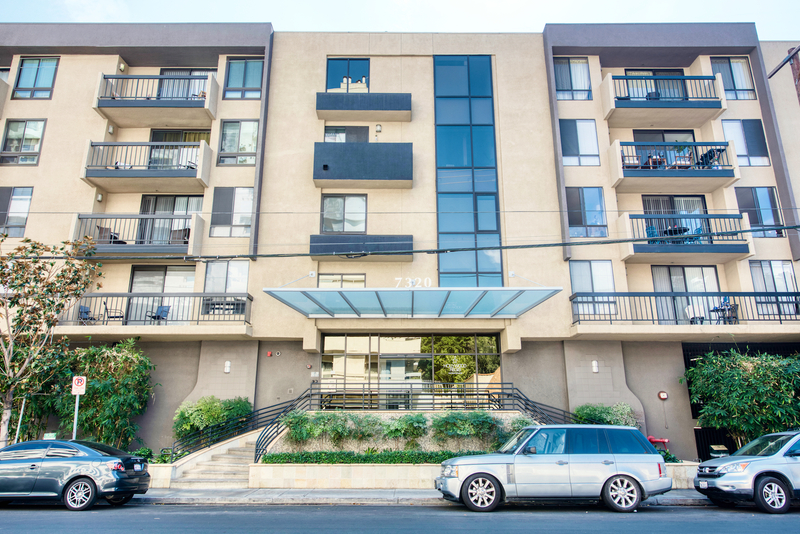 Ideally located near all the shops and restaurants on Sunset as well as Runyon Canyon – perfect for enjoying a hike, taking a free yoga class, or letting your dog enjoy a nice run. Hurry – this gem won’t last long!